Let me introduce you to an amazing brand called Scentsy. "Scentsy began with a simple idea — a safe, wickless alternative to scented candles — and quickly grew into one of the most successful direct selling companies in the world. This wickless concept is simply decorative ceramic warmers designed to melt scented wax with a heating element instead of a traditional wick and flame." A good friend of mine, Hayley, was introduced to the brand and became a consultant. She soon then introduced me their products as she knew I was a fan of scented candles. 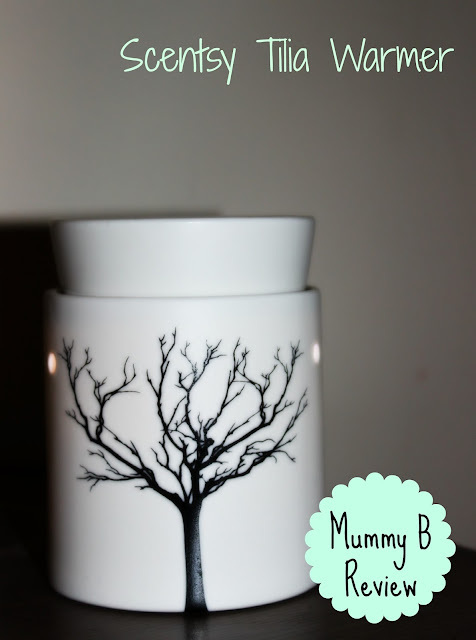 Being a mummy I now wanted a more safer, child friendly alternative to candles. Scentsy are a unqiue candle warming system that uses a 25 watt bulb to warm the wax progressively, becoming a pool of liquid wax. Scentsy candle bars last up to 80 hours and will never release a harmful chemicals that you can find in normal candle jars. 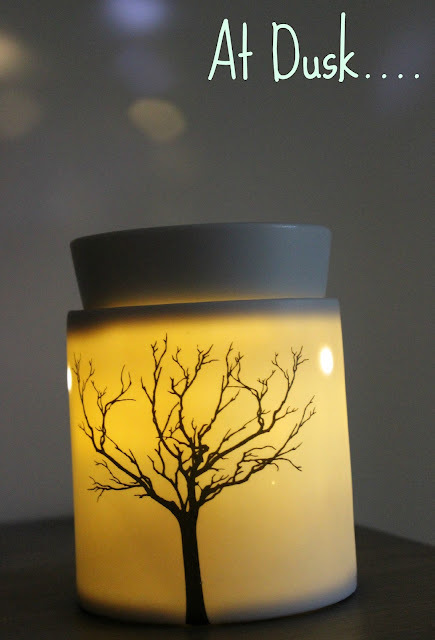 They have a great selection of different style warmer but I was instantly drawn to a warmer called Tilia. This is a simple, modern shaped, porcilen warmer has a beautiful tree design which looks amazing when lit.. It looks stunning on my side board! Anyway when I ordered, Hayley popped over and brought me her bag of scents so I could choose from the beautiful fragrances they had to offer. I chose Honeymoon Hideaway, Apple Press and Blueberry Cheesecake. palm." Its such a grown up elegent but relaxing scent, and at the moment I simply don't want to try the others as this one is making my whole house smell amazing!! I love it, and it is so worth the money! This warmer was priced at £30 and then the Candle Bars are then £5 each and they last around 80 hours per bar. Compare that to other well known candle jars you actually save yourself a fortune! Plus I love how safe they are and I know don't need worry needlessly! HERE and get hooked on Scentsy!